REEL 1: Outbreak of war, 4/8/1914. Period teaching at King's School, Gloucester, 9/1914-4/1915. Opinion of concientious objectors. Commission into Northamptonshire Regt, 13/4/1915. Recollections of pre-war Officers' Training Corps activities at Wellingborough School, 1911-1914: training at summer camps; seeing Cody; entering rifle shooting competition at Bisley. Recollections of period with A Coy, 1/4th Bn Northamtonshire Regt at Norwich and St Albans, 4/1915-7/1915: parents' reaction to enlistment; reception and story illustrating early responsibility; kitting out; drill instruction for new officers; route marches; tactical exercises. REEL 2 Continues: training; formation of 162 Bde; officers weapons; duties as billeting officer at St Albans; relationship with St Albans civilians; kitting out with tropical kit. Recollections of voyage aboard Royal George to Mudros, Lemnos, Greece, 7/1915-8/1915: send off at St Albans; question of submarine threat; conditions; visit to Malta; gas lectures and inadequate masks issued; Turkish lectures; leaving heavy equipment at Alexandria, Egypt; machine gun practise; news of sinking of Royal Edward; issue of iron rations. REEL 3 Continues: Landing from destroyer at A Beach, Suvla, Gallipoli, Turkey, 15/8/1915: personal morale; absence of fire. Recollections of operations in Kiritch Tepe sector, 15/8/1915-16/8/1915: initial advance towards Kidney Hill; reaction to casualties coming back; communication problems; failure of attack, 16/8/1915; story of rescue of wounded soldier in view of Turks; being relieved. 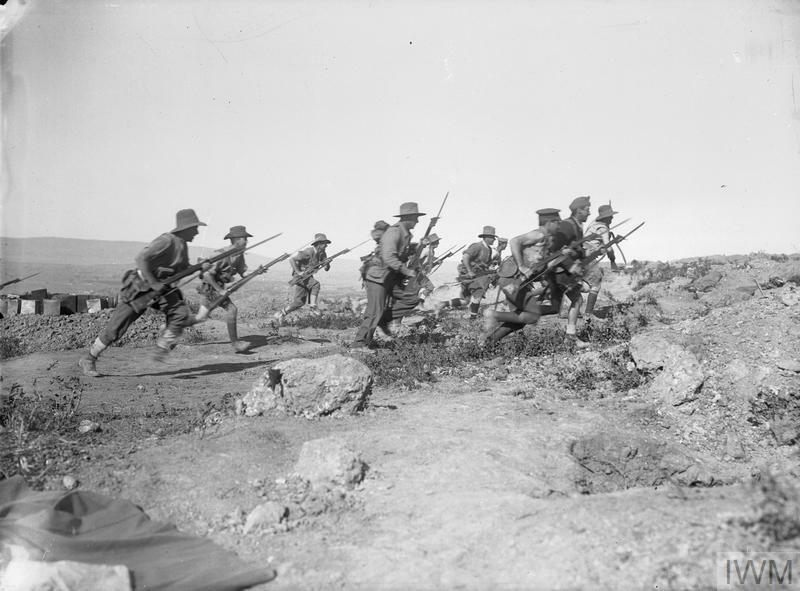 Movements in Suvla area, 8/1915: situation; water shortage; view of fighting towards Anzac; food rations; situation; march along beach; digging in at Green Hill; naval bombardment. REEL 4 Continues: story of shell hitting court martial party at Green Hill. Recollections of conditions of service and lifestyle in front line at Hill 60, 9/1915-10/1915: situation; corpses built into parapets and story illustrating acclimatisation; deepening trenches and effort to cover corpses; question of overhead cover; sniper problem; establishing machine gun post; blocking off communication trenches leading from Turkish lines; use of periscope rifle to damage Turkish sandbags; view of Suvla area; limited perspective of junior officers; opinion of situation; dugouts; duties. REEL 5 Continues: latrines; corpse and fly problems; ignorance of lice problem; food rations; story of being shelled whilst taking water party to water barges on beach; water shortage and importance of conservation; story of being shelled whilst bathing in sea; periods in rest area at Green Hill including fatigue parties, continued exposure to enemy fire and personal dugout; prevalence of dysentery and its effects; appearance of troops; question of noise levels. REEL 6 Continues: daily routine including duties as platoon commander and company bombing officer, meals and use of periscope; deepening trenches; sentries; detachment to guard ammunition dump near Green Hill; contact with Sikh troops; duties as company and brigade bombing officer including description of jam tin, cricket ball and hairbrush bombs and re-using Turkish bombs; story of close escape from Turkish bomb whilst bombing; sniping activities. REEL 7 Continues: enfilading shrapnel fire; naval bombardments; shooting at unidentified aircraft digging and successful detonation of mine by Australian Light Horse; question of detection of mining; effects of mines; question of patrolling; treatment, evacuation and reactions of wounded; reaction to casualties; acclimatisation of new drafts; morale; raids by neighbouring Gurkha unit. REEL 8 Continues: opinion of Australian and New Zealand troops and story illustrating their acclimatisation to corpses in trenches; opinion of Turkish troops and illustrative stories of them withholding fire during rescue of wounded soldiers; question of award of Military Cross; question of relevance of training for Gallipoli conditions; reaction to newspaper news of miners strike in GB; parcels from GB; climate; story of being wounded in leg by shrapnel during assignment to teach bombing techniques and use of bomb catapult to Norfolk Yeomanry, 31/10/1915. 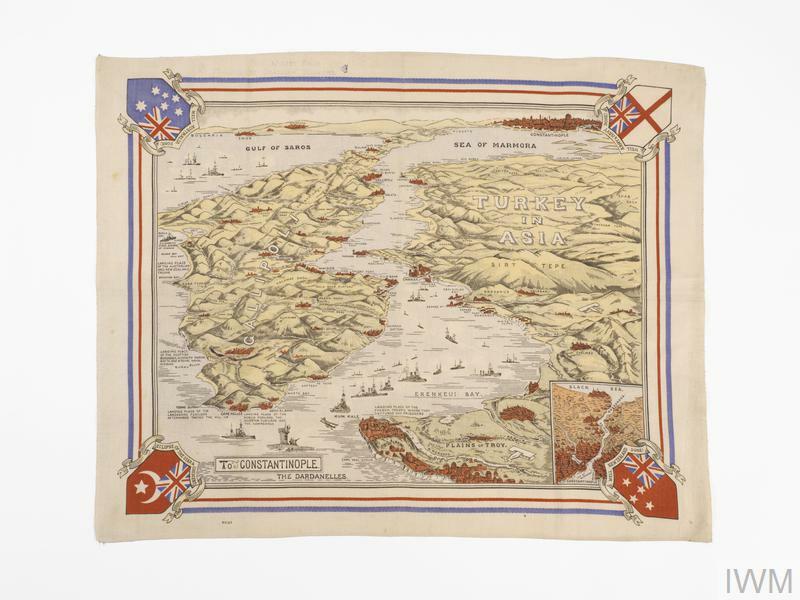 Recollections of evacuation to Alexandria, 31/10/1915-2/11/1915 : stretcher journey to Anzac dressing station; reaction to leaving Gallipoli aboard Nevassa. REEL 9 Continues: period in dressing station at Anzac; medical treatment on Nevassa. Medical treatment at Ras-el-Tin Hospital, Alexandria, and convalescence at Luxor, 11/1915. Voyage on Esquibo and Britannic to GB, 12/1915. Period in convalescent home in London, 12/1915. Convalescent leave in St Albans, 12/1915: relationship with civilians; further operation on leg. Period training recruits with 2/4th Bn Northamptonshire Regt at Halton Camp, 1916. Relationship with regular officers on posting to Pioneer Coy, 3rd Bn Gloucestershire Regt at Sittingbourne, 1917. Posting to Stoughton Barracks, Guildford, 1917: organising farm labour. REEL 10 Continues: organising farm labour; story of missing train from London. Posting to 2/4th Bn Northamptonshire Regt at Crowborough, 1917. Story of receiving wound gratuity and award of Military Cross, 1916. Background to volunteering for West African service and question of attitude to possibility of service on Western Front 1917. Recollections of period with West African Regt at Wilberforce Barracks, Freetown, Sierra Leone, 1917-1918: training in bush warfare; guarding public utilities; assisting district commissioner at Mabanta out station; origin of African troops and rumour of cannibal incident; attempt to capture African civilian terrorising local villages; conditions of service; reaction to news of Armistice, 11/1918; malaria attack. REEL 11 Continues: malaria attack. Voyage aboard HMS Hyacinth to GB, 11/1918. Leave prior to demobilisation, 3/1919. Establishing career as horse racing judge, 1919-1939. Outbreak of war and service with Local Defence Volunteers prior to commission into Coldstream Guards, 9/1939-5/1940. Opinion of developments in tactical training observed during period with A Coy, Training Bn Coldstream Guards at Pirbright, 1940-1941. Recollections of period with Coats Mission, 1941-1942: role evacuating and defending Royal family in event of attack; training; guarding Royal family when outside London; George VI's expertise at Sandringham shooting parties; 'safe houses' used. REEL 12 Continues: defences established at 'safe houses'; emergency transport arrangements for Royal family; recollections of Tatham and other officers; personal contacts with Royal family; pride in role. Period with Holding Bn at Regents Park, London, 1942-1943: guarding Royal and Prime Ministerial residences; recollections of Churchill; Chequers defences. Period with Auxiliary Units, Home Guard, 1943-1945: geographical organisation and sabotage role in event of invasion; supply duties as deputy assistant quarter master general; local units and their concealed dugouts; training at Coleshill House; communications system. REEL 13 Continues: Recollections of period as assistant welfare officer, Berlin area, Germany, 1946-1946: prior assessment interview; preparations; role providing entertainment for troops; preliminary work in Beilfield and Brunswick as part of Plans Group G; difficulty in getting permission to enter Berlin from Russian troops, 1/7/1945; reception from German civilians; requisitioning buildings and entertainment facilities of all kinds to entertain troops; relaxation of non fraternisation rule; publication of 'Welfare Bulletin'; role housing voluntary welfare organisations; story illustrating relationship with Russians. REEL 14 Continues: Story illustrating relationship with Russians; relationship with Americans; damage caused by Russian troops to Reichstag; Victory parades; demobilisation, 8/1945. Position as President of Gallipoli Association, 1984: initial recruitment; annual functions; visit to Gallipoli, 1983.